and most importantly, they are the same for neutrons and protons." The last female Nobel Laureate in Physics, 1963. 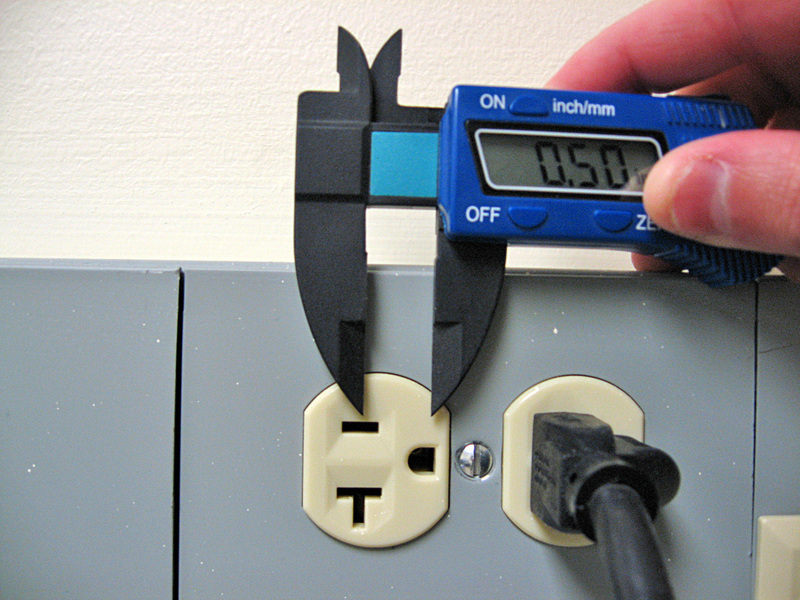 The newish fluorescent light (well, added in 1999 to make up for a lost skylight) fixture in the RAS office must have an electronic ballast that runs at 25kHz, as that is a strong signal that pops up on the oscilloscope & antenna when that light circuit is running. The older fluorescent lights are probably ancient magnetic ballasts. 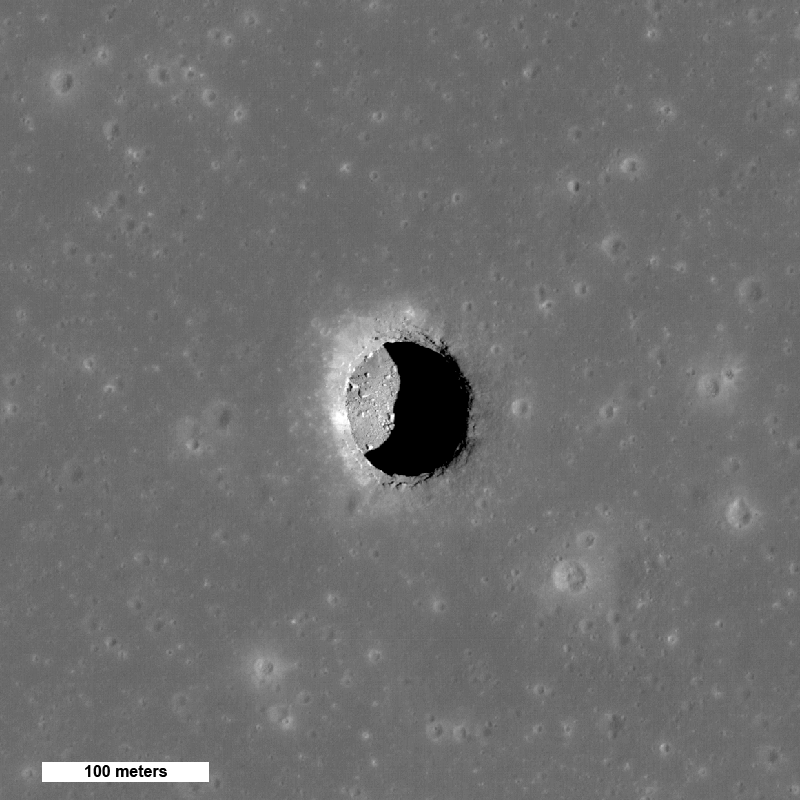 Phil Plait points out pits on the Moon! 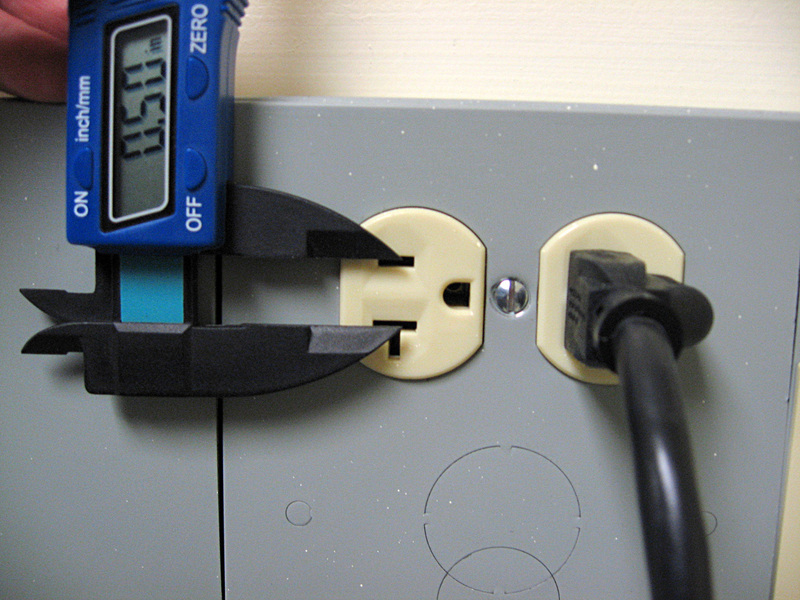 Did you know the distance between the center of the slots in the 120V standard AC outlet is exactly 1/2 inch? And so is the distance between the center of those and the center of the ground pin. 0.5". All of this only came out after I bought an inexpensive digital caliper and started measuring everything I could get my hands on. Click to enlarge to medium size. The link below goes to the really big image. 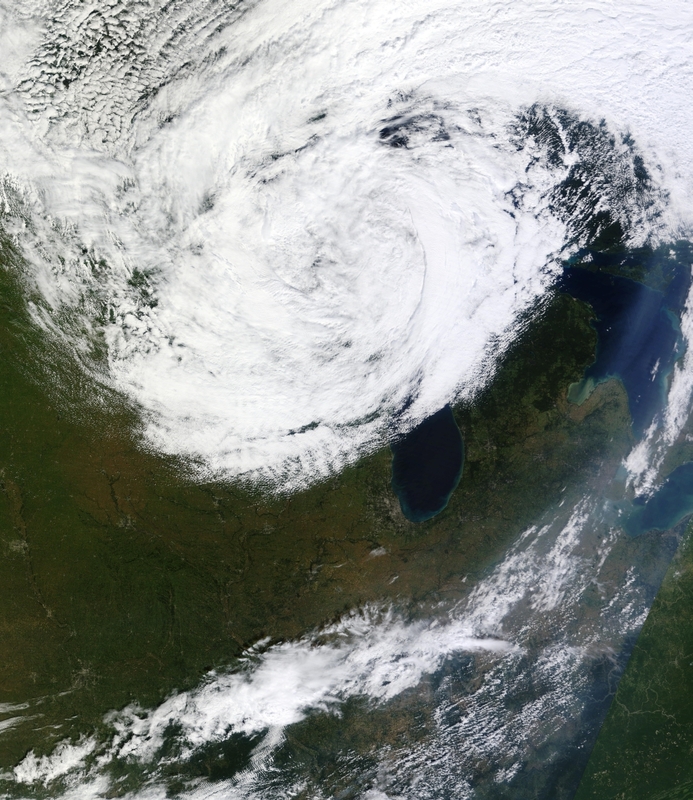 Today's weather in Chicago as seen from above via the MODIS imager on the Terra satellite. It was sunny and very windy with winds out of the southwest. It looks like you can see some dust streamers coming out off the lakeshore. Click on the link below for the huge 5200x6000 image with 250m resolution. "The SDSS and e-science archiving at the University of Chicago Library"
This paper outlines the various aspects of the project as well as implementation.